This large Victorian aesthetic 16 1/4 " long x 11 3/4 " wide platter is transfer printed in rich dark chocolate brown. 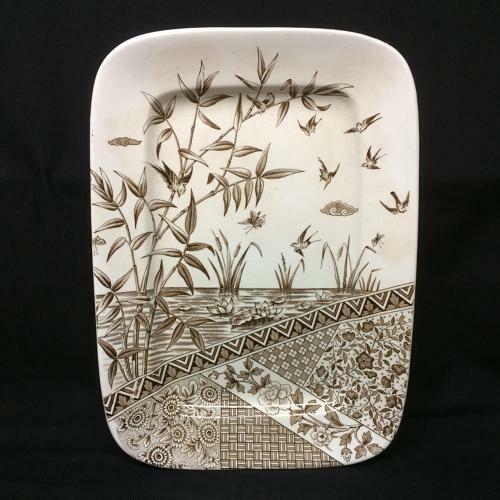 The pattern features a Japanesque water scene with water lilies and cattails, outrageous bamboo and birds, and butterflies flitting throughout the transfer. Geometric shapes mixed with exotic flowers complete the wonderful plate.